One-type-fits-all hearing aids are a thing of the past. Today’s hearing aids are dynamic in fit, style, size, shape and function. 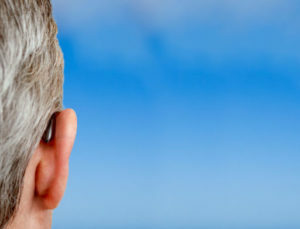 Different types of hearing aids offer wearers different features and benefits. Because the world of hearing aids has become so diverse, getting your hearing aids from a doctor of audiology is vital to ensuring you’re enjoying the full benefits of your devices. Hear Well Center is a licensed dispenser of hearing aids and accessories, allowing our patients to get a complete range of hearing services within our modern specialty hearing center. Once your hearing loss has been assessed and diagnosed, you will work with your audiologist to choose the perfect pair of hearing devices for your needs. Once you’ve determined which hearing aids are right for you, it is time to order your devices, which will be custom programmed for your ears. Expert knowledge. Choosing the best hearing aid isn’t as easy as selecting a product from a list. Only a doctor of audiology has the breadth and depth of knowledge to help you select your ideal pair of hearing devices. The audiologists at Hear Well Center are here to help you during every step of the hearing aid selection process. Counseling services. For most people, adjusting to life with hearing aids doesn’t happen overnight. Since the process of adapting to hearing aids can be challenging, counseling services are an important part of adapting to life with hearing devices. Our expert staff understands what you’re going through and is here to help you learn about life with hearing aids so you can acclimate to your devices comfortably. Careful fitting. Your new hearing aids will be custom fitted to your ear; however, adjustments are still necessary for optimal hearing device performance. If you buy hearing aids directly from the professionals at Hear Well Center, you can expect careful and continuous care throughout the entire fitting and follow-up process. Accessory assistance. Today’s hearing aid technology is phenomenal, in some cases, an additional benefit can be gained from pairing your hearing devices with hearing aid accessories to be able to listen clearly in certain situations. When you get your hearing aids with the help of Hear Well Center, you will also learn more about which accessories may pair well with your devices to improve your hearing in large groups, noisy restaurants, movie theaters and other challenging locations.